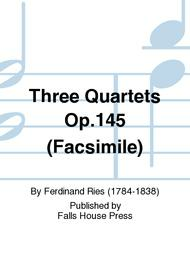 Composed by Ferdinand Ries (1784-1838). With Standard notation. Falls House Press #FE-R145D. Published by Falls House Press (PR.FER145D). 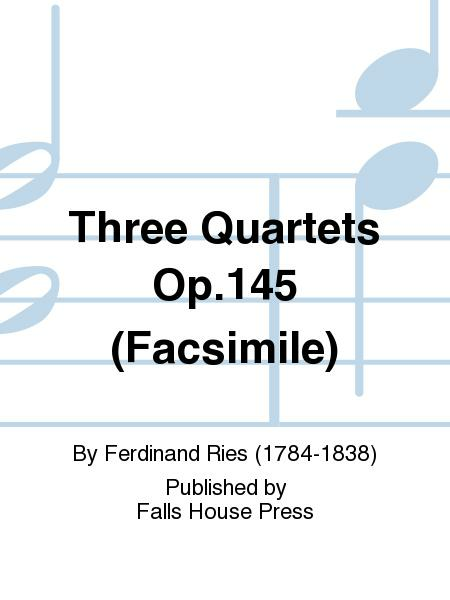 Ferdinand Ries' Quartets are solid Beethoven-like chamber pieces that equally balance interest for the flute, violin, viola and cello. This includes the COMPLETE three Ries' Quartets!